In a living space, in a dining room, or at the foot of a bed, there are many spots you may choose for this accent bench. 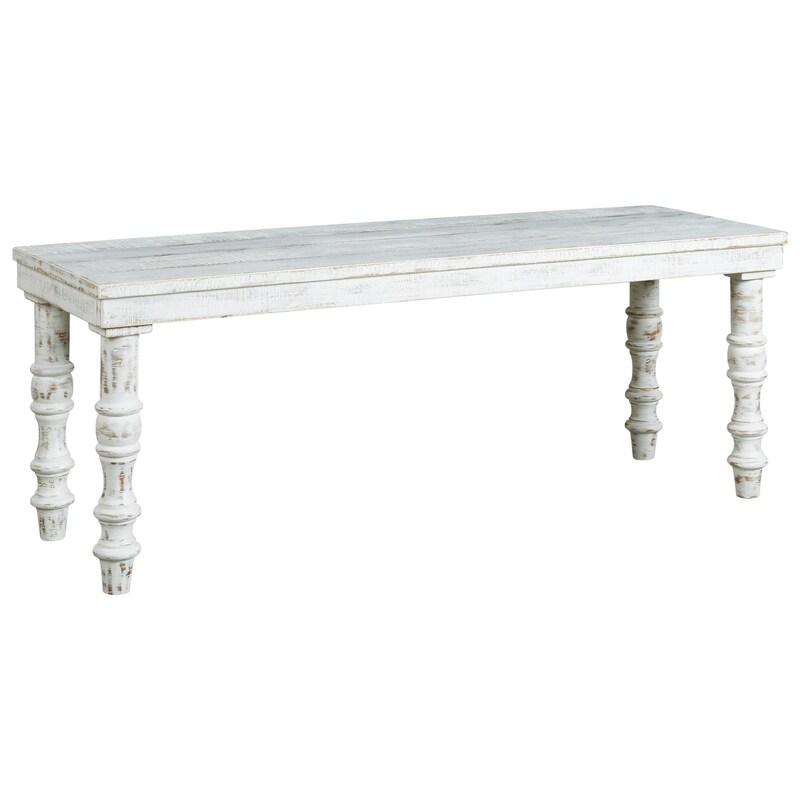 Its turned legs and plank style top offer a classic design detail, while its antique white or antique black finish makes it more casual. It's a perfect fit for a transitional, eclectic, or farmhouse decor. The Dannerville Accent Bench with Turned Legs by Signature Design by Ashley at Value City Furniture in the New Jersey, NJ, Staten Island, Hoboken area. Product availability may vary. Contact us for the most current availability on this product.